When petroleum products are traded, volumes have to be converted into weight, and vice versa. It is vital for this calculation to be performed correctly because even the smallest inaccuracy will affect key processes in the supply chain of oil and gas companies – from the safety of the loading and warehousing operations through to the computation of tax liability. OpenTAS QCM (Quantity Conversion Module) offers a proven, precise and extremely cost-effective set of functions for quantity conversion: One single system for accounting, terminal management, and administration. How does OpenTAS QCM work? OpenTAS QCM embeds the standard API (ASTM D 1250-80) implementation routines and utilizes the standard API functions to calculate the volume correction factor. It also implements an alternate volume correction factor calculation from the Manual of Petroleum Measurement Standards. The tool can be deployed as a stand-alone system accessed over RFC (Remote Function Call) as well as in any Terminal Administration System like OpenTAS. Beyond that it works as an integral part of ERP/SAP systems and industry solutions such as SAP IS Oil and SAP SDM (Secondary Distribution Management for Oil & Gas). Proven: Numerous global petroleum companies have utilized OpenTAS QCM functionality for over ten years now. The conversion module has proven its reliability and stability in 24/7 operation. Best cost efficiency: Whatever the size of the petroleum company, flexible pricing models (based on product quantity handled) make OpenTAS QCM into an unbeatably cost-effective solution for quantity conversion. Precise: Quantity conversion is based on formulas, tables and formulations. OpenTAS QCM supports globally recognized standards such as ASTM and API. 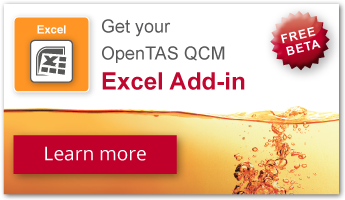 Up-to-date: OpenTAS QCM keeps your quantity conversion process up-to-date. Our maintenance contract includes continuous monitoring as well as timely updates – should changes be made to industry standards such as ASTM or to applicable legal frameworks. Flexible: OpenTAS QCM can be deployed not only within an OpenTAS system but also as a stand-alone system accessed over RFC. 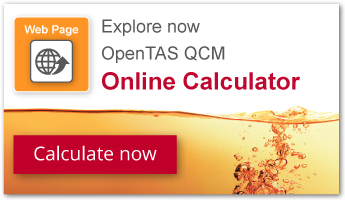 Versatile: OpenTAS QCM supports petroleum groups A to D, based on ASTM D 1250-04 categorization. "Implico’s OpenTAS QCM is all we could have wished for. It runs silently in the cloud and calculates all our quantities automatically, reliably and in no time at all. Quantity conversion with QCM is very easy and practical, especially since it is perfectly integrated into our SAP ERP system. It’s the perfect solution for us." Learn more about the easy way to convert your quantities! We would be delighted to answer your questions about OpenTAS QCM and its innovative functionalities.